Whilst your walls set the tone for your room, you must carefully curate all of your soft furnishings to match to ensure the final look of your room works. Styling your property needs patience and attention, but with our handy guide, you’ll be able to swiftly complete your project in an afternoon! To make your job a lot easier, you should implement an overall theme to help pull together the look in your room. For example, you may go for a vintage-themed room and hunt down preserved artwork and soft furnishings. 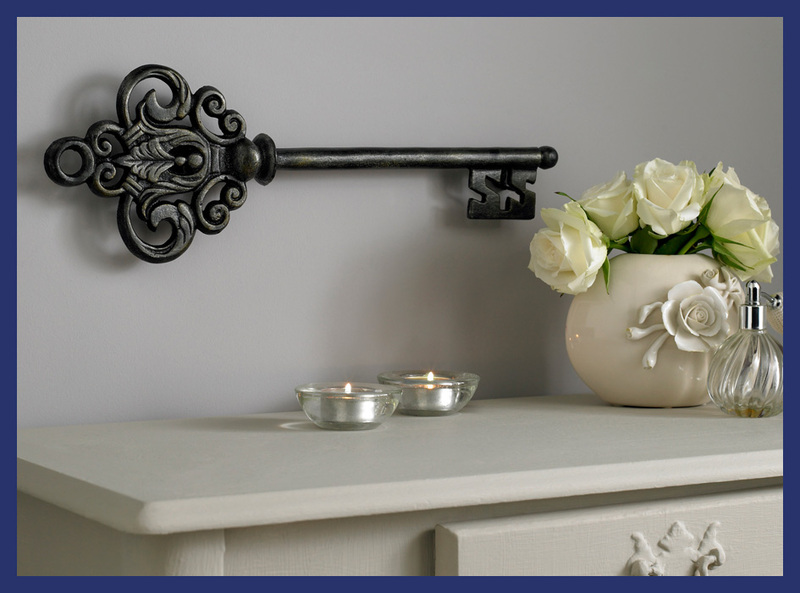 A theme will help to dictate what gets pride of place in your living space and what pieces go where. As you can see in the image above, a theme can instantly evoke a new feeling in any room. If you visited a home like this, you may have flashbacks to old holidays or big moments and events that have happened in your life. A theme completely transforms a room and still leaves you with enough leeway to show off your creativity. What colour palette will complement your room? It doesn’t have to be an exact match, some of the most clashing colours seem to work together; but for the sake of simplifying things, let’s take it easy and find a colour palette to match our walls. 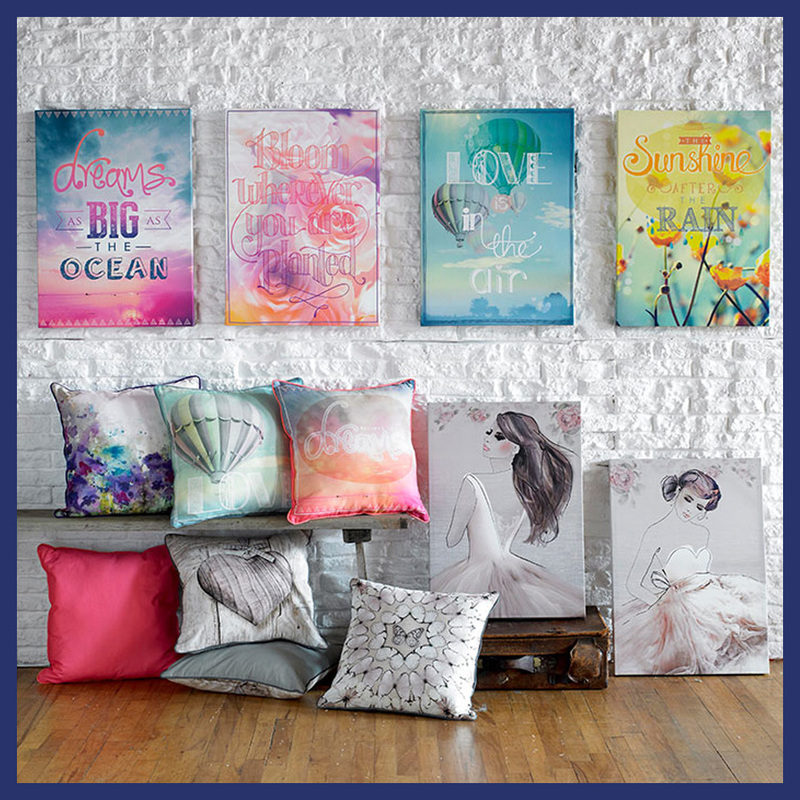 Some of the cushions from our gorgeous collection would work perfectly with a pastel colour palette. This means you’ve still got the choice of whatever colour you want, but just a toned-down version. Mint green, baby pinks and sky blue all help to sugar coat your room and liven up the general atmosphere in your home. You’ll find it particularly easy to find matching elements to your room within this palette. From chunky knitted throws to worn wooden tables, the texture of each element in your room will be taken into consideration by anyone who enters your living space. Although you may think everything in your home should be soft, fluffy and cosy, something that goes against the grain can add depth to your overall interior design. Our metal wall art allows you to mix and match with textures and provide a contrast to your soft furnishings. Don’t be afraid to mix things up with conflicting textures such as wood, metal and textured wall art. As we’ve mentioned before, it’s all about the finishing touches. If you’re looking to change the aesthetics in your room without tearing down all four walls, vamp up your current wallpaper with our stunning wall jewels. Easy to apply, creating a stunning unexpected twist to your walls. 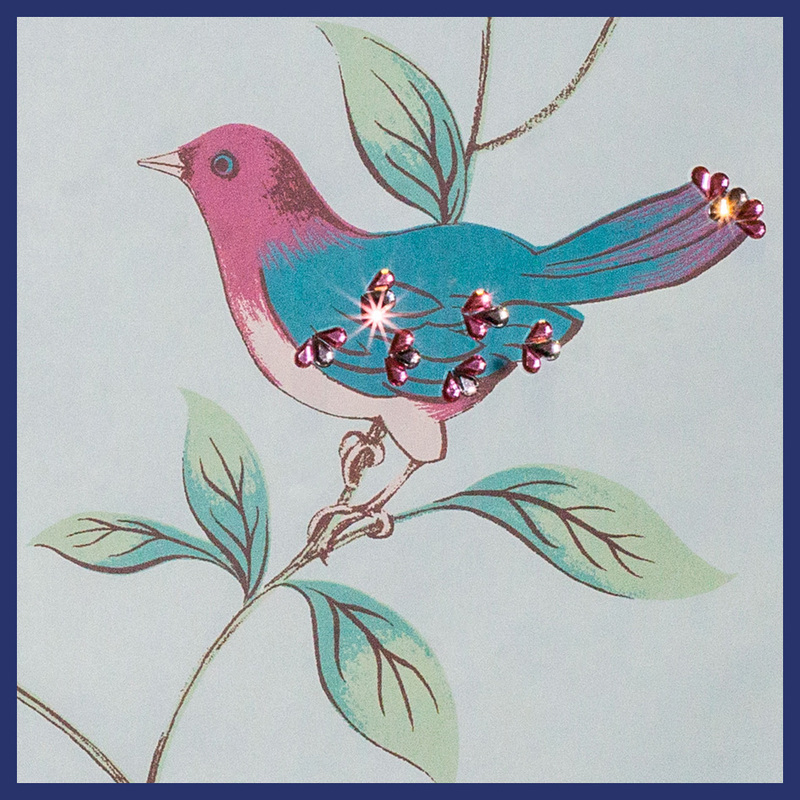 Adding a subtle sparkle to your room, you’ll notice the gentle twinkle of these gems as soon as you enter the room. Updating any pattern to create a feeling of modern glamour, these wall jewels help you to present a slight twist on your interior design.